Aspects of Positive Train Control (PTC) and the Wireless Crossing System (WCS) are currently being tested on the G Line. This work involves synchronizing and optimizing the PTC system and the conventional control systems at 16 at-grade crossings along the line. Federal regulations require that each function of the PTC system be tested and perform within specified guidelines established by the Federal Railroad Administration (FRA) and law before moving to the next test. At this time, the performance, safety and functionality of the G Line PTC system is being tested using active train movements and with the WCS turned off. During this testing period, the public may experience gate down times that are longer than they were before testing started, as well as gates dropping down with no visible train traffic. These results could be attributable to freight movements, high rail vehicular movements within the G Line corridor or the optimization of the system. All are being monitored and corrected by the testing and commissioning staff, as well as being documented appropriately to meet Federal Railroad Administration (FRA) reporting requirements. 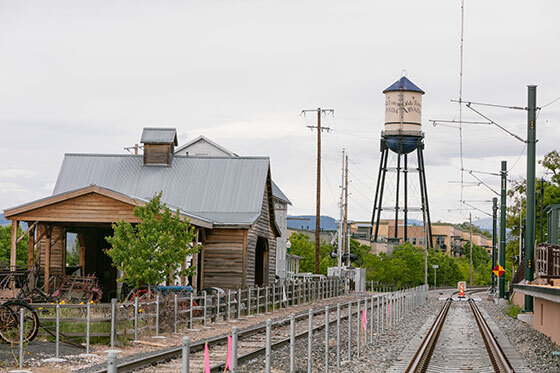 Once the FRA is satisfied that these tests are successful, it will authorize turning on the WCS, leading to significant improvements to the at-grade crossing function, with less gate down time and more accurate and shorter at-grade crossing activations. Full optimization of the system will be completed during this final phase of testing and commissioning, and the final PTC testing requirements will take place. Upon completion, the final product will provide consistent activations and gate down times as outlined in the Colorado Public Utilities Commission (CPUC) process. During this entire testing and commissioning period, FRA, CPUC, RTD and the independent engineers are closely overseeing and monitoring all phases of the process to ensure that the contractor meets and exceeds all safety and material requirements for the commuter rail system. Finally, as required by FRA and CPUC, the at-grade crossings are protected by crossing attendants or uniformed police officers at all times during testing to ensure the safety of pedestrians, drivers and the public. Once testing of PTC and WCS has been completed, RTD will notify the public that all FRA and PUC requirements have been met. After that, an FRA-approved plan will follow to safely and systematically remove crossing attendants from the at-grade crossings. Train horns will be sounding during testing and through the opening of the G Line. Until quiet zones have been established, the use of train horns and other safety measures are important to make drivers and pedestrians aware of train movements. RTD will announce the start of quiet zones for the G Line once such approvals are in place. Safety is a top priority during G Line testing. During this period, the public must abide by all safety signage at railroad crossings, respect potential closures of railroad or at-grade crossings along the alignment, and not attempt to view testing by accessing construction areas at stations and various locations along the tracks.